Carol Lockwood is a business lawyer who focuses her practice in the areas of transactions and real estate matters. Ms. Lockwood's clients include local developers that she has represented in acquiring property, and assisted with the related annexation and zoning requirements for residential and commercial projects. In addition, Ms. Lockwood has done work for the Winnebago County Housing Authority in the area of real estate acquisitions for the HUD-sponsored Hope VI project, which targets the redevelopment of West Rockford. She also represents the Greater Rockford Airport Authority and Chicago Executive Airport in leasing and other real estate matters. Ms. Lockwood's extensive knowledge of land use and real estate matters are assets she uses in the successful representation of her clients. 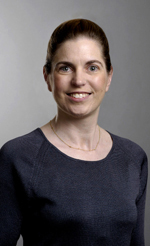 Ms. Lockwood joined Hinshaw & Culbertson LLP in September 2001. While still in law school, Ms. Lockwood served a summer internship with the McHenry County State's Attorney's Office. As a 711-licensed intern, she acquired trial experience working in felony court assisting with arraignments, negotiated pleas and bail hearings. In addition, Ms. Lockwood was a summer extern for The Honorable Philip G. Reinhard, of the Western Division of the U.S. District Court, Northern District of Illinois. Prior to her legal career, Ms. Lockwood worked for the McHenry County Department of Planning and Development, where she was a technical assistant and supervisor of the Rural Historic Survey. Ms. Lockwood was, from 1995 to 1997, a Visiting Assistant Professor of History and Humanities at Purdue University North Central. She was an Associate of the History Department of Northwestern University and a Lecturer in History and the Humanities at State University of New York College at Geneseo. Ms. Lockwood's doctoral dissertation was The Changing Use of Land in the Weald Region of Kent, Surrey, and Sussex, 1919-1939, and she was twice the recipient of the British Government's competitive Overseas Student Research Grant. Ms. Lockwood has written a number of history-based articles on rural society, land use and social reform.